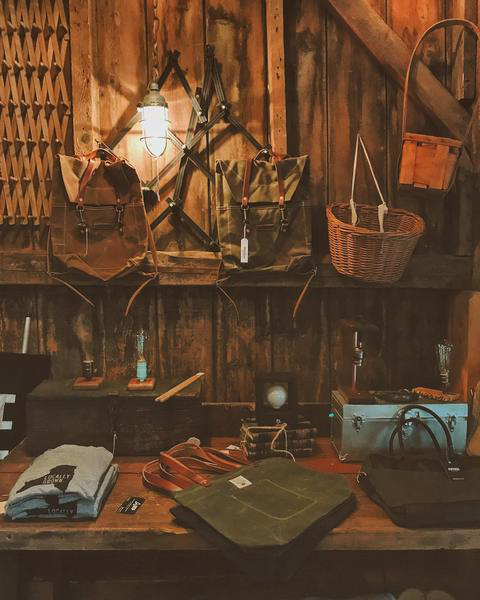 Continue celebrating the Thanksgiving Day Holiday with friends and family at the Barn Days Field Market this coming weekend, November 24 - 25th at the Black Barn in High Falls, NY. The Marketplace will be featuring quality antiques and artwear and the handwork of artisans from the area. "WE STRIVE TO PRESENT TO YOU, THE CONSCIOUS CONSUMER, THE AMERICAN CREATIVE WHO IS PRODUCING AND DESIGNING PRODUCTS IN THE UNITED STATES AND OF THE VERY BEST QUALITY." Founded in 2010, Northern Grade originally began as a traveling marketplace that featured and highlighted brands that manufacture their goods in the U.S. After establishing 37 marketplaces in Los Angeles, Denver, Brooklyn, Austin, Nashville, Houston, Richmond, Chicago, San Francisco, Dallas, Minneapolis and Moscow, Russia, they have developed close and personal relationships with 700+ diverse brands from around the country. Their latest endeavor, they recently opened a shop at the Seaport in Manhattan at 117 Beekman Street. Be sure to stop by when you're nearby. For a wonderful day celebrating the antiques and local artisans' works, please stop Northern Grade's Thanksgiving Market this Holiday Weekend in the Hudson Valley in High Falls, NY.